Available in standard and "Showtime" editions. 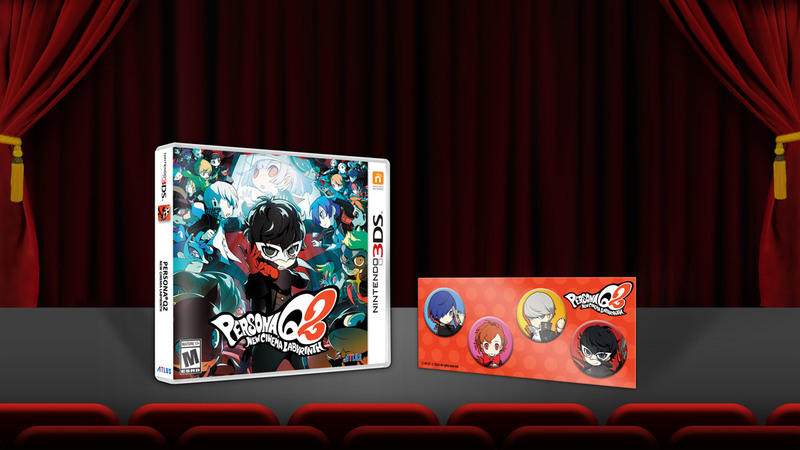 Atlus will release Persona Q2: New Cinema Labyrinth for 3DS in the Americas and Europe on June 4, the publisher announced. It will feature Japanese voice-overs with English subtitles, with no plans for an English dub. 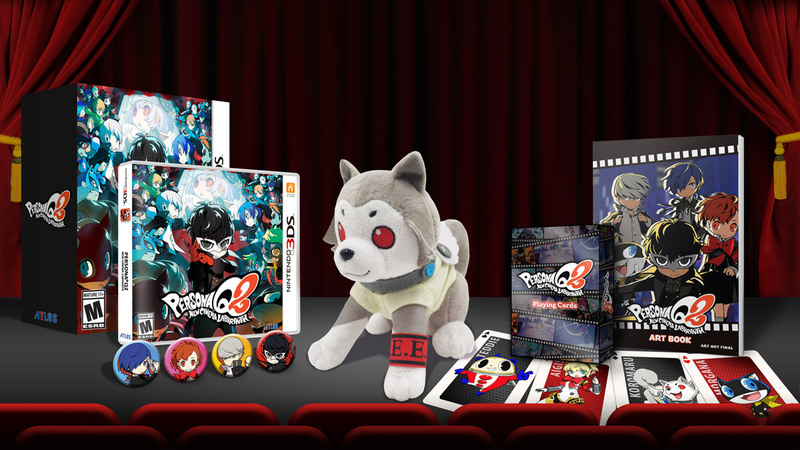 A $39.99 launch edition will include a set of four buttons, while a $69.99 “Showtime” premium edition will include a copy of the game, a five-inch Koromaru push, art book, deck of playing cards, set of four buttons, and outer box. Watch the opening cinematic below. View a set of screenshots at the gallery. Visit the official website here.